If you have customization permissions on an App, you have the ability to make new screens within the app. 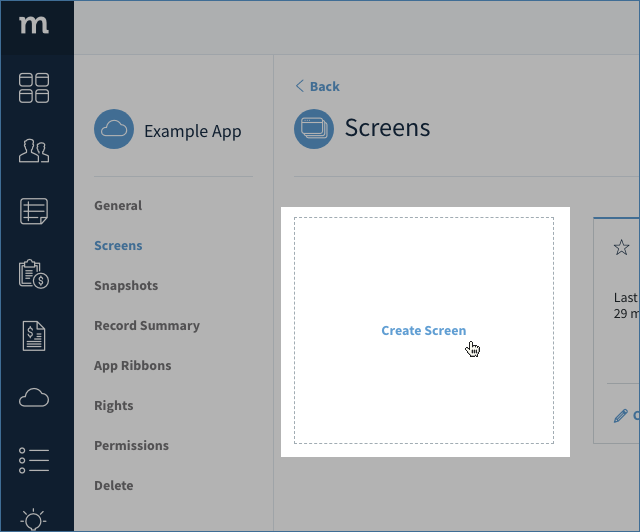 To create a screen, you must first Manage the app you wish to add the scren to. 1. Click the vertical ellipsis ( ⋮ ) and then select Manage. 2. This will take you to an area where you can manage apps, and the default section it takes you to is the screen manager. To create a new screen, click Create Screen. Screen Name*: The name you will give the screen. This should be unique, and will be visible in the tab of the browser when a user is on this screen. Choose a relevant name that pertatins to its function, like "Contact List" or "New Activity." 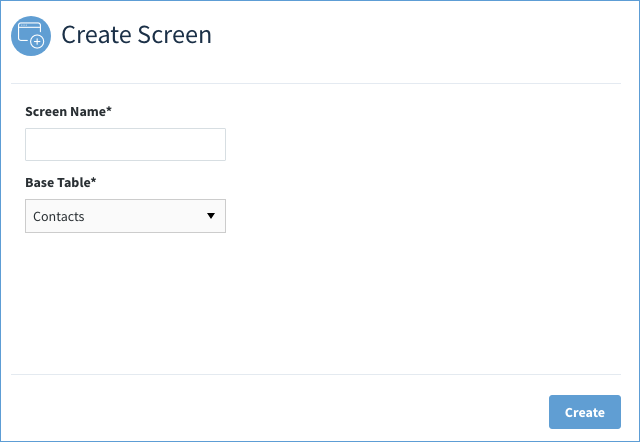 Base Table*: Every screen needs to be based on a table in your database (see our documentation on Databases for more information). When you start designing your screen, you can drag in fields that are bound to this base tables. For example, say you’re creating a screen to edit an activity. The base table will be the Activities table and you can drag in fields found in the Activities table, like the Activity Status field. However, you will not be able to drag in a field from another table since it only gives you fields of the base table. So if you want to drag in the customer's balance, that's not available. Of course, this doesn't mean you can't use data from other tables. You can bind other controls to other tables. But the screen itself and the fields available on the screen will be bound to the Base Table. 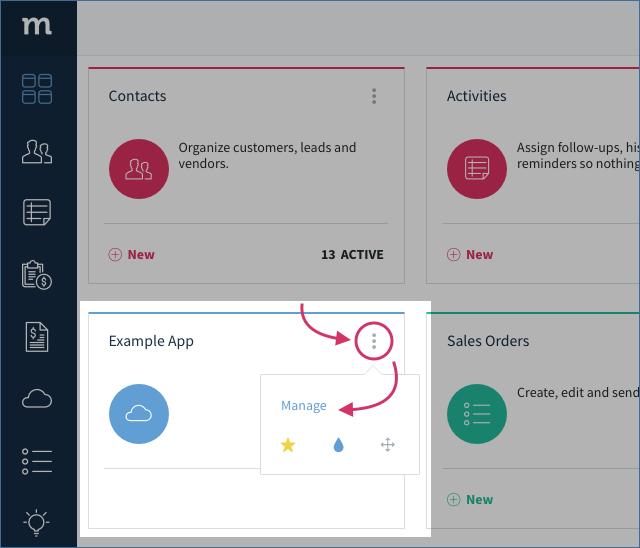 Once you are finished creating a screen, clicking OK will add it to the App and make it visible within the Screen Management section. It will also take you into the Design Mode for your new screen so you can customize its look. To return the App Management area, click Close.